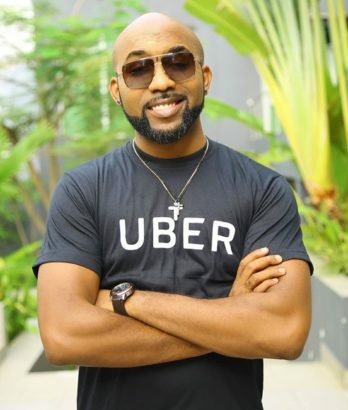 Nigerian legendary and popular musician has being officially announced as UBER ambassador in Nigeria. The announcement was made on Wednesday during an invite-only event in Lagos with only select persons and media present. This makes Banky Wellington the first Nigerian musician to represent the leading taxi company in Nigeria. “A lot of deliberation and careful thought went into choosing and selecting the Uber brand ambassador. We decided to go into partnership with Banky W because we recognize the fact that he’s a well respected artiste and has his hand across multiple industries including music, film, production and enterprise. – Margaret Banasko, Country Marketing Lead for Uber in West Africa. “I’m very excited and honoured to be partnering Uber, as I’m a huge fan of the way they have completely revolutionized the transportation business globally. I’ve actually been an avid user of this innovative service for years, and I’m looking forward to what we will accomplish in Nigeria together.